Located off of Billtown Road, you will find the beautiful neighborhood known as Jefferson Trace. 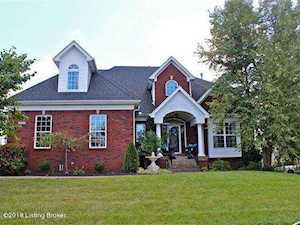 Jefferson Trace is a Jeffersontown KY neighborhood. Jefferson Trace was developed in the late 1990s. Prices of homes in Jefferson Trace range from $300,000 to $440,000. Homes in Jefferson Trace typically have between 2.400 to 3,700 above grade square feet. Many of the houses in Jefferson Trace have basements. On average, the basements have been 1,200 to 2,400 square feet. You can usually find between two to four bathrooms and four to five bathrooms in Jefferson Trace homes. The Hollinden Team updates this search for Jefferson Trace homes on a daily basis from the Louisville MLS. The Hollinden Team has sold many homes in Jefferson County. Check out the Hollinden Team Reviews to find out more about what our clients have said about us. Click the map on the left to view each home for sale in Jefferson Trace. There is a satellite view button in upper right. Jefferson Trace homes are mainly brick but some do have some vinyl. Homes in Jefferson Trace don’t have a cookie-cutter appearance. At the same time, because most of the houses are the same construction, you have some uniformity. Just about all of the homes in Jefferson Trace have two car garages. The garages are mainly all side entry. Many of the homes in Jefferson Trace have around half an acre. The lots are big enough to have space between your neighbors but are small enough so that maintenance isn’t a big issue. Many of the homes in Jefferson Trace have very open floor plans, making the homes perfect for entertaining. For grocery shopping, there is a Kroger and Walmart within minutes of Jefferson Trace. One of the closest shopping malls to Jefferson Trace is Jefferson Mall which is about nine miles away. Mall Saint Matthews and Oxmoor Mall are both around fifteen miles away. The Paddock Shops is around seventeen miles away. There are plenty of restaurants around Jefferson Trace. Aspen Creek, Smokehouse BBQ, Puerto Vallarta Mexican Restaurant, Hunan Wok Restaurants, Beef O’ Bradys, Sake Blue, and Mark’s Feed Store are just some of the few restaurants within the 40291 zip code. If you enjoy golfing, there are two golf courses near Jefferson Trace called Woodhaven Country Club and Wildwood Country Club. Both country clubs are private and have a golf course, tennis course, and swimming pool. Each country club also offers space to rent for parties and weddings. Jefferson Trace is within the Jefferson County School District. Some of the public schools near Jefferson Trace are Wheeler Elementary, Bates Elementary, Fern Creek Elementary, Ramsey Middle, and Fern Creek Traditional High School. Valor Traditional Academy and Saint Gabriel are two private schools in the same zip code of Jefferson Trace. If you would like to learn more or have any questions about any of these Jefferson Trace houses for sale, just click the "Request More Information" button on any property detail page. The Hollinden Team can provide you with past sale information, comparables, disclosures, PVA assessment, and tax information – we would love to answer any real estate questions you have.